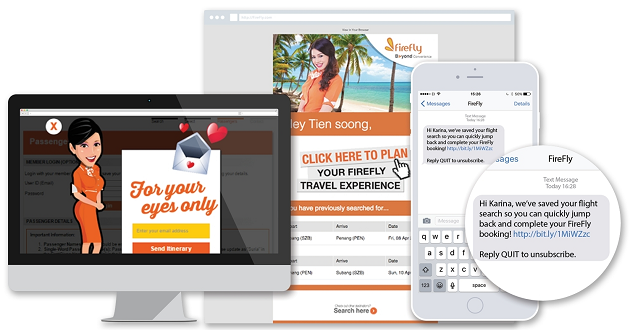 Behavioral marketing company SaleCycle has unveiled a new SMS remarketing solution that complements the company’s existing portfolio of email and on-site remarketing solutions. All three solutions can be leveraged by brands for remarketing campaigns that engage customers at each stage of the purchasing process. That said, mobile’s popularity makes SMS a convenient channel for companies to connect with their customers on-the-go. For example, on-site remarketing enables brands to interact and engage website visitors while they are online, but visitors who leave without converting can be followed up through SMS or email remarketing. Both solutions focus on reconnecting with these lost customers and bringing them back to the site. It is important to note that SMS message content is personalized and dynamic, including a short link that connects visitors back into the purchasing process. To deliver this functionality, SaleCycle partnered with SMS provider Dynmark to handle the dispatch of SMS remarketing messages. “I’m delighted to launch SMS remarketing as part of SaleCycle’s multi-channel solution,” said Dominic Edmunds, founder and CEO of SaleCycle. “The immediacy of mobile messaging fits perfectly with how brands want to reconnect with their customers. I'm very excited to see how we can work with brands to use SMS remarketing creatively to achieve their goals."